They might not win any beauty contests, but van-based MPVs have plenty to offer family car buyers who prioritise practicality and value over style. What’s more, with acres of storage space and up to nine seats, these family car heavyweights will cope with everything from the school run to a week away on the continent. Practical, comfortable and efficient, these are the very best van-based MPVs you can buy right now. 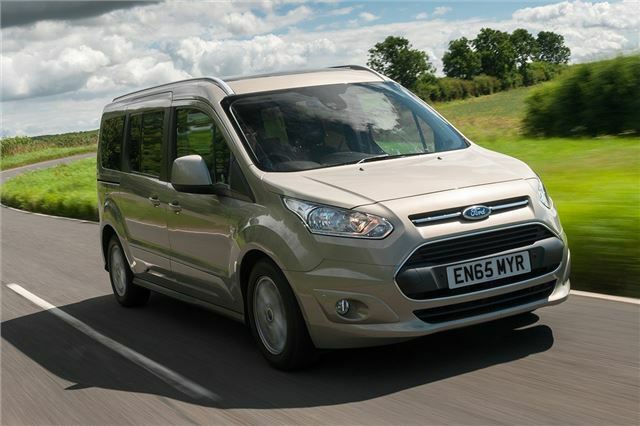 If you can look past the bland, boxy design you'll discover that the Ford Tourneo Connect is one of the best all-round family cars. The interior is huge and packed with neat features, while the comfortable and durable seats make it perfect for long runs. Available with five or seven seats, the Tourneo Connect is easy to get in and out of, with a raised seating position. The dual side sliding doors also make it easy to get children and shopping bags out when parking space is limited. Factor in the frugal fuel costs from the 1.5 TDCi diesel - returning an official 64.2mpg - and it’s easy to see why the Ford Tourneo Connect has been such a hit.